Installations are always an exciting challenge as they involve additional consideration. We work closely with clients to develop a concept, ascertain exact needs and how to best meet them. This often involves looking at the space from many different angles, seeing what purpose it will serve, how it will be used and by whom. How the public interact with it safely is also one of our prime concerns. We carry full public and products liability as well as employer’s liability. Our latest project has been for the National Trust to create a replica of Princess Charlotte’s mausoleum at Claremont Gardens, Esher. With only one old photo and a few sketches for reference we have built an 80% scale structure on the original footprint, using plywood, vac-formed PVC and a lot of patience. 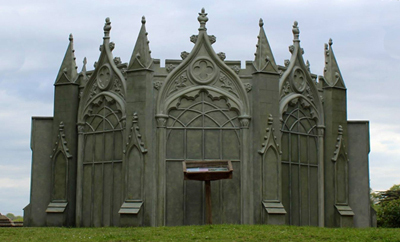 The Mausoleum will be in place for 6 months to celebrate the life of Princess Charlotte who lived at Claremont and died 200 years ago aged just 21. Events will take place around the site throughout the summer. Visit the National Trust website for more information. 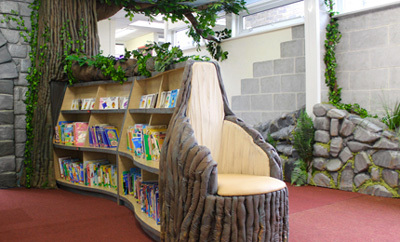 We were approached by the school to design, build and install a themed library to help engage reading across the age range. 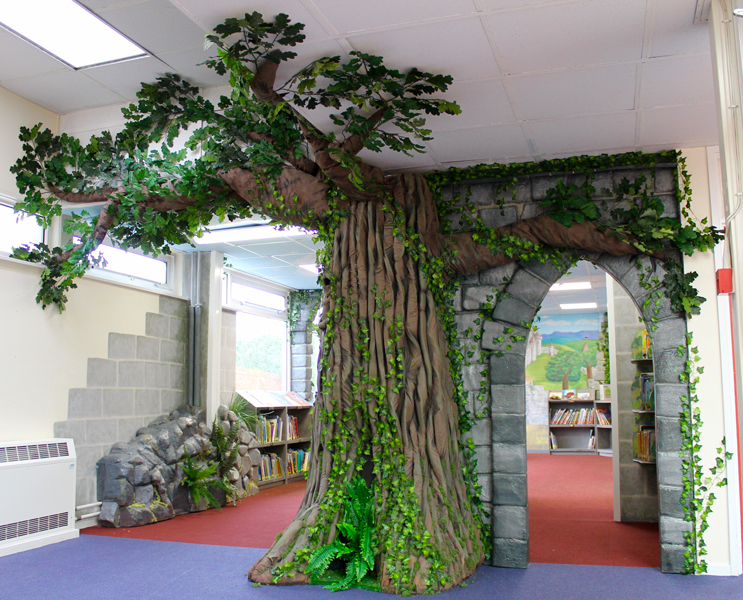 By consulting with the Head, library staff and teachers we dreamt up an enchanted castle Garden Library full of intrigue. Special consideration was given to presenting the books in a way that would encourage a voyage of discovery leading students to find books they were not previously aware of. The room also incorporated soft elements to provide a fun and immersive environment. It has since been featured in three separate publications. 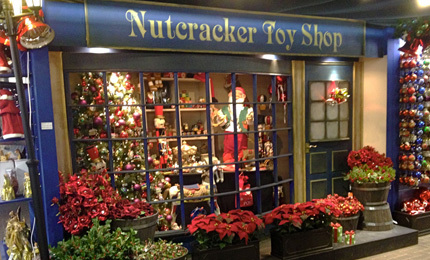 Van Hage is the leading garden retailer in the Hertfordshire area and their displays are enjoyed by a huge number of customers especially at Christmas. 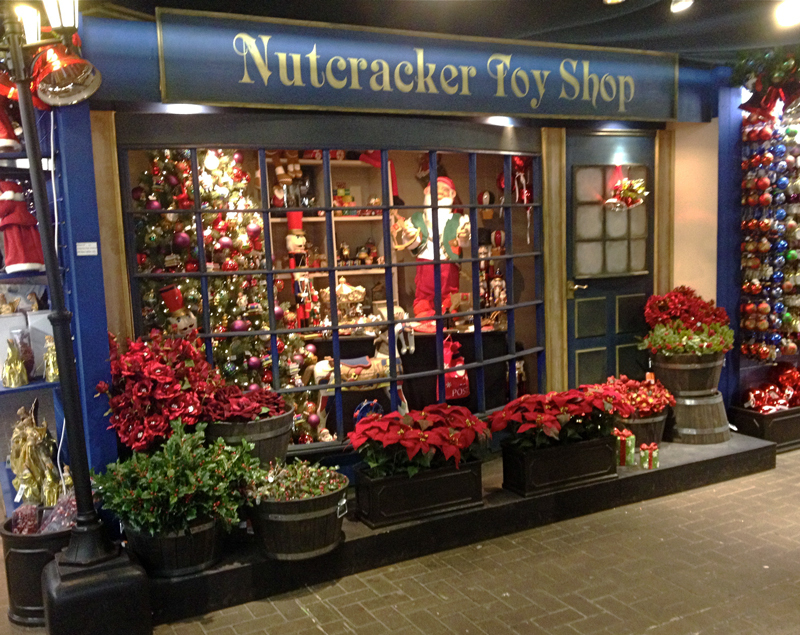 We were asked to build Victorian style Christmas displays for each of their stores. Van Hage subsequently won a “Best Christmas” award from the Garden Centre association. Chabad Belgravia is a religious centre for the Jewish community in central London. 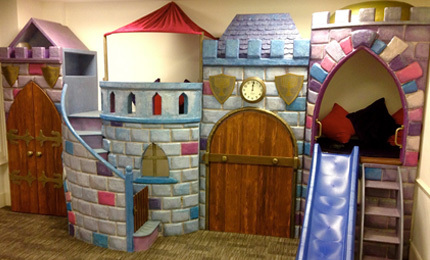 We were commissioned to build an activity centre for their playroom for children aged between 4 and 9. The design incorporates a reading area, performance space, dressing up room and two quiet areas along with useful storage for books and softplay. A consideration for the faith’s iconography was also needed within the design.